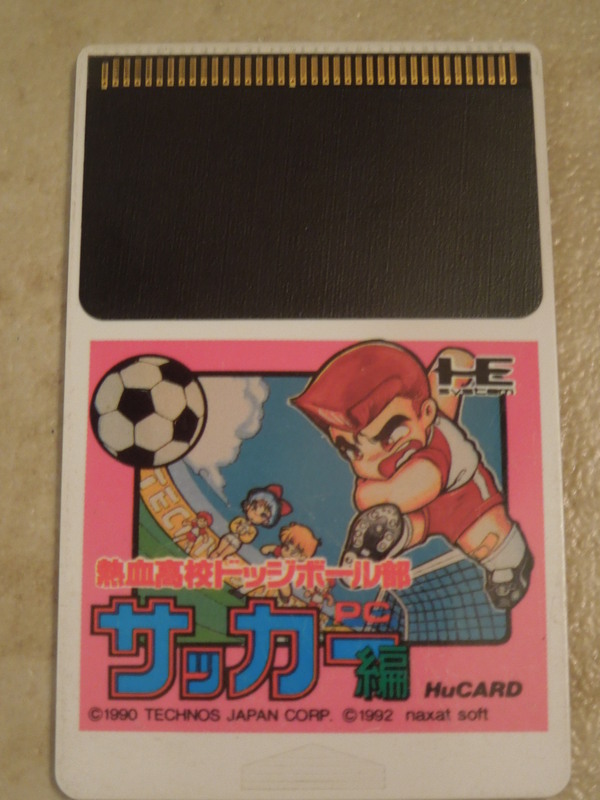 PC Soccer Hen for the PC Engine. The PC Engine Hu-card version. Note 1: Like PC Engine games? Check out my reviews of Double Dragon II, Operation Wolf, and Batman! Note 2: This game was played on a PC Engine Core Grafx Console. It was connected to a 32-inch HD tv using AV (red, white, yellow) cables. 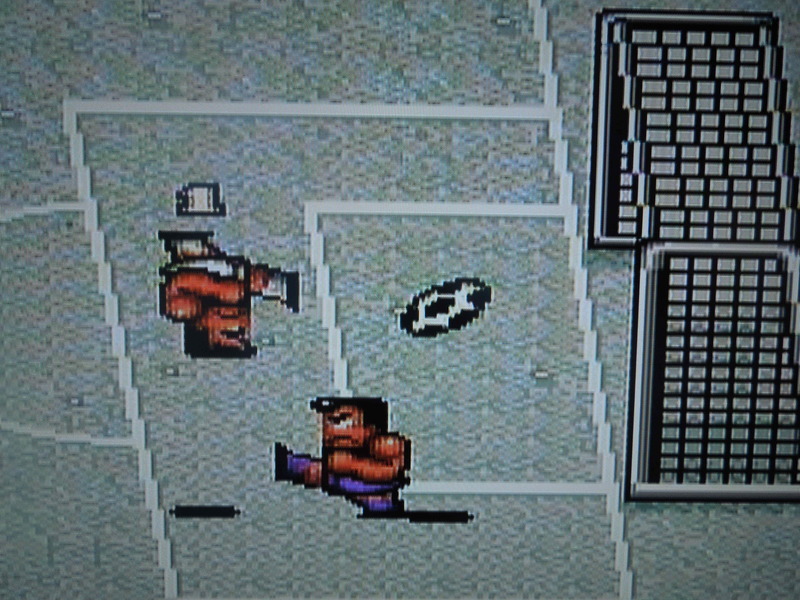 Quick History: Nekketsu Koko Dodgeball Bu: PC Soccer Hen was released in Japan only in 1992 for the PC Engine home console. The game had already been released in Japan for the Famicom (Japanese NES), Sega Mega Drive, and PC Engine Super CD-ROM. *The PC Engine Super CD-ROM version was the same as this regular PC Engine version, but it added 5 national teams in Tournament mode, added animated cutscenes and voice acting, and added some enhanced audio. PC Soccer Hen was re-worked a bit and released for the NES in the United States under the title ‘Nintendo World Cup,’ a game that is well-known by many U.S. Nintendo enthusiasts. The story of Nekketsu High School Soccer, which is part of the Japanese Kunio-kun series, has Kunio and the Dodge Ball team helping Misako, the manager of the school’s soccer team, beat neighboring regional schools in soccer matches. Control: On offense, button II shoots the ball. Button I passes the ball. You’ll typically pass the ball to the player you’re closest to – if they’re close, it will be a ground pass, if they’re far away, it will be an air pass. Pressing I + II while standing still makes your character jump for a bicycle kick. Pressing I + II while holding left or right makes your player attempt a diving header. On defense, button II slide tackles and button I executes a shoulder tackle. While you can’t ‘control’ your other teammates, you can ‘tell them what to do.’ For example, if your defender is chasing the opponent with the ball, even if your character is on the other end of the field, you can press button I to make your defender shoulder tackle the opponent character. Or, if you pass to your computer teammate near the goal, pressing button II when the ball reaches him will make him shoot. You have full range of the field even though you’re a forward, and can run back to help the defense if they get in a jam. You can change your team’s position before each match. You’ll get passwords when you lose matches. Gameplay: In Tournament Mode, you can only play as Nekketsu High School (for 1 player or 2 player co-op). You guide the team through 13 matches against the other schools, each of which has a “theme.” I can’t read Japanese, so I can’t tell you the official names of these schools. However, based on the graphic that is displayed before each match, here are my best guesses at team names, in the order of which you play the teams: the Nekketsu High Juniors, the Monks, the Bikers, the Hunters, the Announcers, the Firemen, the Fishermen, the Psychics, the Mob, the Miners, the Samurais, the Fighters, and the Scientists. Each team gets progressively tougher, of course, as you advance in the tournament. To balance this, new selectable players are added to your squad at certain points in the game – they have a higher speed or power or defense than your current players. As you play through the various teams, you’ll notice that the playing surface will vary based on the team you play, and you have no control over the field you play on (ice, concrete, and rocky terrain are some examples). There is a handy 4 digit password system to let you pick up where you left off if you don’t want to try to beat the game in one sitting. To get the password, however, you have to lose a match, and then select “No,” to a re-match in order to get the password. 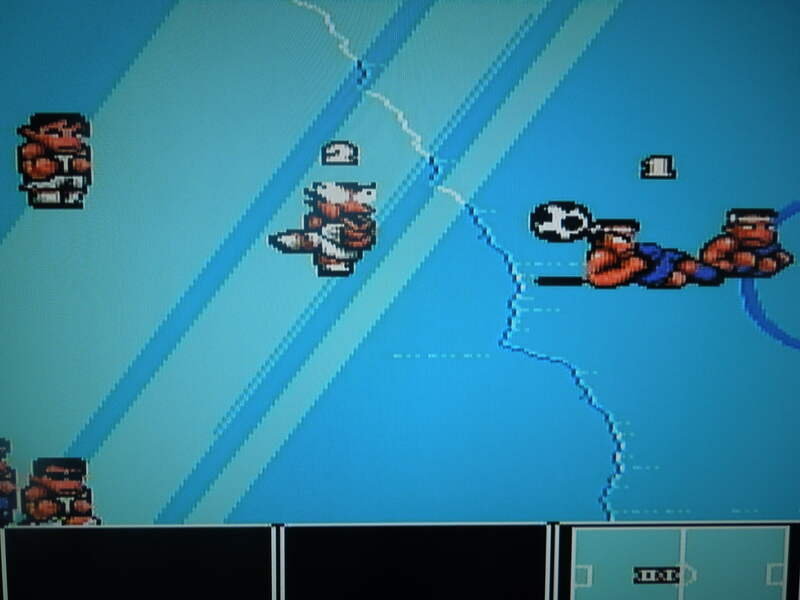 This soccer game is 6 on 6, and before each game, you can select which player you want in which position: a goalie, 2 defenders, 1 mid-fielder, and 2 forwards Each player has their own unique “Super Shot” that is executed by doing a bicycle kick or by running a certain number of steps with the ball before shooting it. Player Differences: Some players on your team move really fast, some run at an average speed, and some are really slow. Some shoot powerful, fast-moving shots, while some shoot weakly. Another difference in your selectable players is ‘Defense/Toughness.’ A ‘tough’ player will be able to shoulder tackle/knock over most CPU players, while a ‘non-tough player’ will fall down if they try to shoulder tackle a CPU player. 2, 3 or 4 player VS: PC Soccer Hen is for up to 4 players in VS mode (2 human players per team). Keep in mind, you’ll need a multi-tap and 4 controllers to accommodate everyone. Only 5 teams are selectable in VS, and one team must be Nekketsu High School. Also, in VS, you can choose from among 6 field terrains, with surfaces including grass, rocky (you can trip over rocks on the field), concrete (not smart for soccer – the ball hardly rolls), and ice (if you slide tackle, you’ll go zooming across the field). For some reason, in VS, you don’t play two halves like in tournament mode – just one. No overtime mode here, just like in Tournament mode. Play on a variety of fields. Sound & Music: The music in PC Soccer Hen is good – different themes play during different matches. The game’s best song is reserved for the VS mode. The sound effects are great, from the whistle that blows when you score a goal, to the smash of a well-delivered shoulder tackle. Language Barrier: No and Yes. If you just want to play an arcade-style soccer game, no. 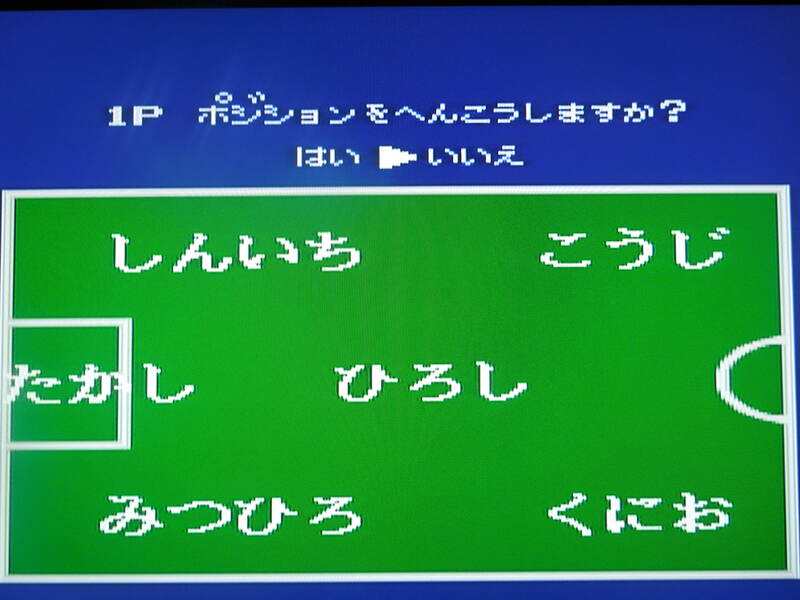 However, when you select which player you want to control before each match, you only see the player’s names, which are in Japanese, making it impossible to know who you’re playing as unless you play enough and memorize the letters. The game’s default player is Kunio. This can be frustrating as you play through the Tournament, because you gain new players after certain matches that you’ll want to play as, but you won’t know who you’re selecting once they’re added to your roster. My suggestion is to find your favorite player or two and memorize their symbols/Japanese letters. There is also a ‘strategy’ screen before each match where you can change things that you want your team to do, like ‘Always shoot/Never shoot,” “Goalie comes out/Goalie stays in goal.” These, too, are in Japanese. Fortunately, these strategies seem to be defaulted well, and you can play the game just fine even without knowing which player you’ll play as or changing around the strategy menus. So, where can I find this game? You can find copies on eBay, or you can play the rom on a computer emulator. The final team in the Tournament, The Scientists, are tough to beat. 1, 2, or 3 min halves in Tourn. 1 min & 30 sec halves in Tourn. 1, 2, or 3 min games in VS. 2 min & 30 sec game in VS.
2 human players max in VS. 4 human players max in VS.
13 selectable teams in VS. 5 selectable teams in VS. Both players can be any team in VS. 1 side must be Nekketsu in VS.
12 teams to play against in Tourn. 13 teams to play against in Tourn. See which player you pick for Tourn. See only players’ names for Tourn. So, which is the better game? 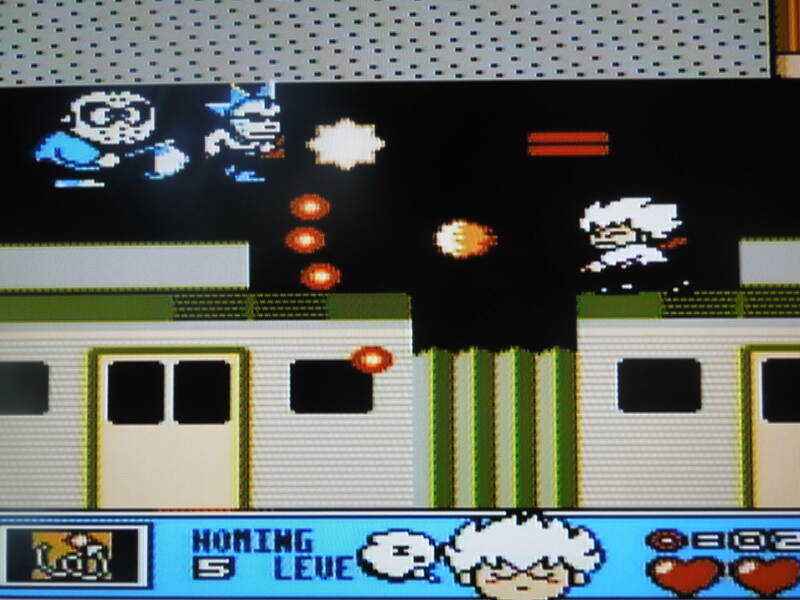 Tough one – the PC Engine version allows 4 players in versus mode, plus has one additional team to play against in Tournament Mode, The Scientists. The PC Engine version seems to be a bit easier also. The Mega Drive version, on the other hand, allows you to choose between 13 teams in VS, instead of only 5; the Mega Drive also has the ‘Fire’ Moves. 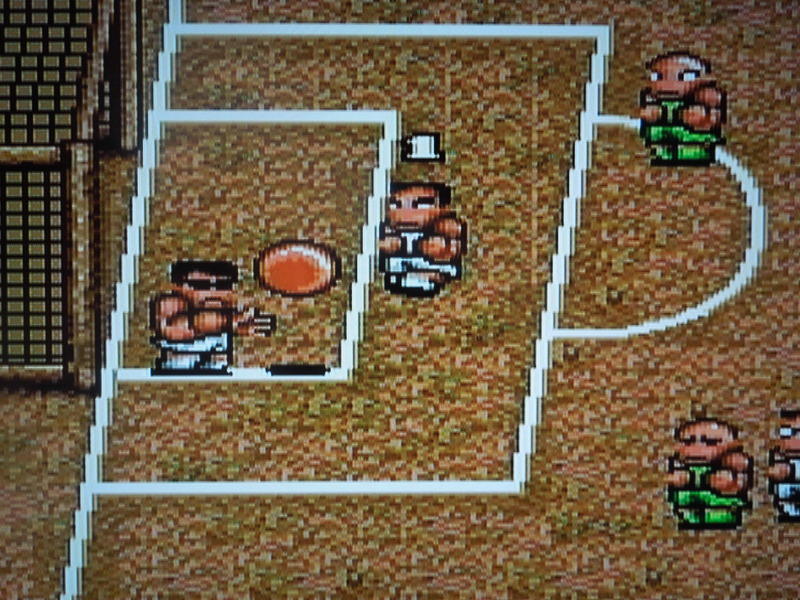 In the end, I’d say the edge, for American gamers, should go to the Mega Drive version for this reason – in the Mega Drive version, you can see which player you pick before each match. But both games are terrific. You can bicycle kick the ball right out of the Goalie’s hands! 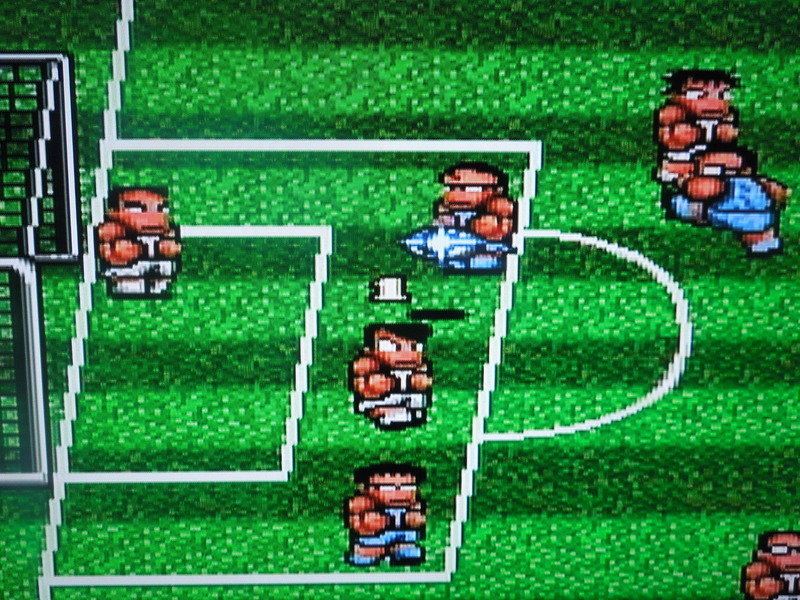 Conclusion: PC Soccer Hen for the PC Engine is one terrific soccer game. It looks great (no flickering) with its Kunio characters, and the matches are relatively short affairs, which is a good thing. The challenge ramps up around the 3rd team, and you’ll find yourself having to replay some teams multiple times trying to get the win. Having a 4 player VS mode is a great addition, too, and the 2 player co-op Tournament mode is a blast.